On 20 July 2014, the Department for Planning, Transport and Infrastructure, Public Transport Services (PTS) and service providers will be making changes to Adelaide Metro public transport services in the metropolitan area. Some dedicated and regular bus services will be affected and therefore it is important that students obtain information regarding these changes from the Adelaide Metro website at www.adelaidemetro.com.au from early July. As part of the changes, PTS will conduct a public awareness campaign closer to the implementation date. This will include media advertising including press and radio traffic reports, information from the Adelaide Metro website and the roll out of detailed customer information through timetables and kerbside information at affected bus stops and train stations. Information will also be available via the Adelaide Metro InfoLine 1300 311 108 and the Adelaide Metro InfoCentres at the corner of Currie and King William Streets and the Adelaide Railway Station, North Terrace, open 7 days a week. This entry was posted in Administration on 26/06/2014 by St Patrick's Technical College. South Australia is introducing new laws on 28 July 2014 to help prepare young people for a lifetime of safe driving. The major change will be the introduction of a night driving and passenger restriction for all P1 drivers under the age of 25. Families should be aware that the new restrictions will directly impact the way in which student car pooling takes place at St Patrick’s Technical College. 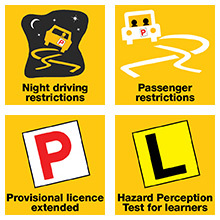 Following is a summary of these new restrictions, however all families are encouraged to visit www.mylicence.sa.gov.au to familiarise themselves with the changes. a police or emergency services officer on duty. Learner motorcyclists under the age of 25 without a P2 or full licence for a car will also be subject to the night driving restriction. An exemption from the passenger restriction will not be available for any other purpose, including education and training. This entry was posted in Administration, Community Blog on 25/06/2014 by St Patrick's Technical College. St Patrick’s Technical College is pleased to present the 2013 School Performance Report. As a requirement of the Schools Assistance Act (2008), the College must report school performance information annually to the school community. This report provides an opportunity to share valuable information regarding staffing, student and community aspects of the 2013 school year. A hard copy can be provided upon request by contacting the College Front Office. This entry was posted in Administration, Principal's Blog on 25/06/2014 by St Patrick's Technical College. I would like to firstly take the time to wish Mr Rob Thomas all the best for the next four weeks as he takes a well-deserved Long Service Leave break. I feel very blessed in being given the opportunity to work once again with the St Patrick’s community while Mr Thomas is away. In 2010 I spent a term at the College and as a result became acutely aware of the wonderful opportunities provided to students and moreover the student success that I witnessed. On my first Morning at the College I visited TAFE SA (Elizabeth Campus) where Mr Prokopec, Mr Forster and myself met with lecturers to have a discussion around our partnership and how we can achieve the best outcomes for our students. I would like to thank the lectures for their time and their ongoing work with our students. I would like to remind the community about our Open Night on Tuesday 24 June from 4-8pm. I would encourage all students to talk to others with in the wider community about their experiences at St Patrick’s. 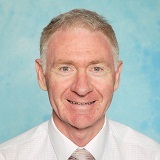 Year 10 students in most schools will be looking very closely at their potential pathways over the next few months and for many students St Patrick’s Technical College will be a career springboard opportunity. This entry was posted in Community Blog, Principal's Blog on 10/06/2014 by St Patrick's Technical College. As part of our commitment to improving literacy in our school, St Patrick’s Technical College is starting the QuickSmart Literacy Program in 2014. This program is run with the support of the University of New England and has a proven track record of improving students’ fluency and accuracy in reading and literacy. We are currently looking for up to 6 campus based students to participate in QuickSmart lessons. Selection will be based on students’ performance in TORCH and PAT-R Literacy Tests. Students can be in Year 11 or Year 12, but must be campus-based. Selected students will participate in 3 x 30 minute lessons per week with one of our QuickSmart instructors: Mr Prokopec, Mrs Holliday or Ms Hamilton. The aim of these lessons is to help students develop speed, accuracy and fluency in reading. If you would like to express interest for your son / daughter to participate in the QuickSmart program, please download, sign and return the permission slip below to the QuickSmart Coordinator, via your son’s / daughter’s Pastoral Care Teacher by Friday 27 June, 2014. Alternatively, you can contact Ms Annasofia Hamilton via email ahamilton@stpatstech.sa.edu.au or phone at the College on 8209 3700. DOWNLOAD THE QUICKSMART PERMISSION SLIP HERE. This entry was posted in Administration on 10/06/2014 by St Patrick's Technical College. In the closest contest of this year’s Quad Sports Carnival, the St Pat’s Tech Fighting Irish went down to Xavier 6-5. St Pats fought back in the second half of the game after being down 4-2 to level the scores at 5-5 going into the last few minutes. However, a resolute Xavier were able to score the winner in the dying stages of the game. This entry was posted in Fighting Irish on 04/06/2014 by St Patrick's Technical College. On 4 June students from St Patrick’s Technical College took on Xavier College in the Inter-school Quad Sports Carnival. Fielding a much shorter side proved to be disadvantageous and players were having to play key positions that wouldn’t have had to before. However, most players can still hold their heads high from their personal performances. Ethan Keyburg showed courage and determination at every contest. Shane Coulthard was moved anywhere we needed him and did whatever job he was assigned earning him the Sportspower Best Player award on the day for the Fighting Irish. We did eventually score in the dying stages of the match with captain, James Curley, selflessly passing on to Jaidon Clarke to run into open goal. We were out-manned on the day however some players lacked the fight they had shown against Banksia Park International School in the Knock-out competition and will need regain that drive if we are going to defeat Marcellin Technical College in the Apprenticeship Cup clash in week 9.